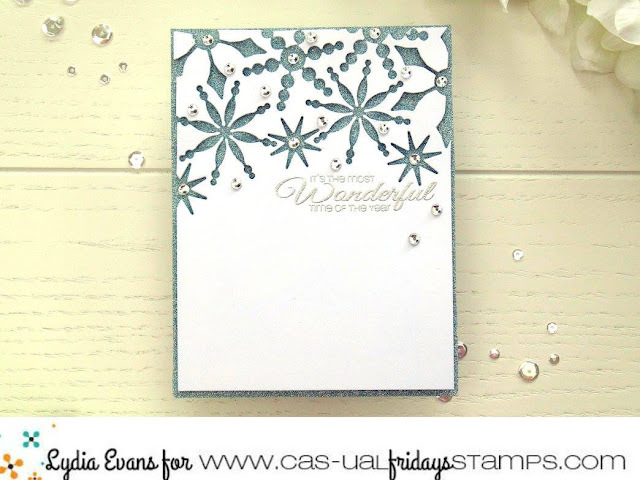 CAS-ual Fridays Stamps: Holiday 2016 Release Party: Day 1! 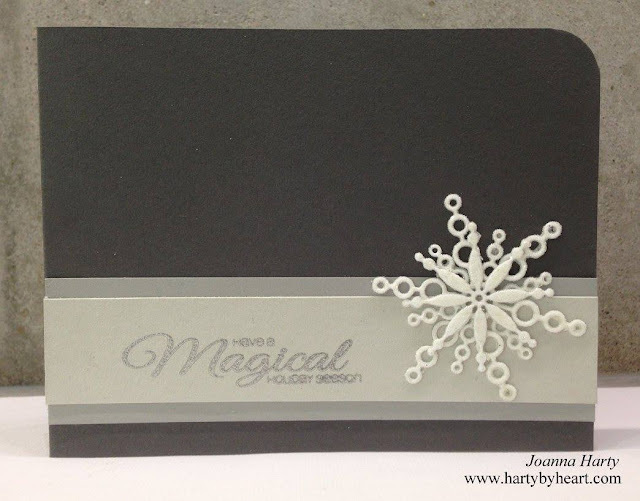 Holiday 2016 Release Party: Day 1! Welcome to our Holiday 2016 Release Party! Now you may be asking why holiday sets in July? The one thing I've learned over the years is that cardmakers like to get a head start on their Christmas and Hanukkah card making during the summer when they have more free time, more daylight, more mojo, so call it Christmas in July if you'd like, but we are here to help you get a head start! on Saturday,we'll have them in the store for you to purchase! Yay! 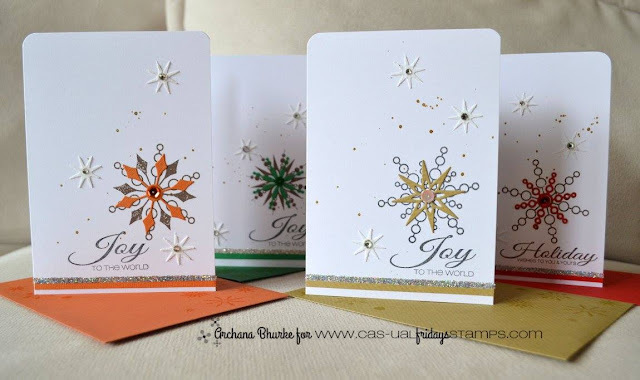 There will be Christmas sets, Hanukkah sets, and a couple of great borders that will work for your holiday projects and beyond. All in all, it's a really awesome collection and I can't wait to show it to you! Today is the one exception to our 2 sets each day...today I'm showing you 3!! Catherine Pooler Stamp of Approval Holiday Collection last year. I know lots of you have been eagerly awaiting their official release, and the waiting is finally over! And lookie at what these babies can do! Wow! If that doesn't get you in the mood for snow, I don't know what will! I'm not going to make you wait anymore! These three beauties are available NOW! Beautiful DT inspiration. I love the layering ability with the dies. WOW! That's a lot of inspiration! 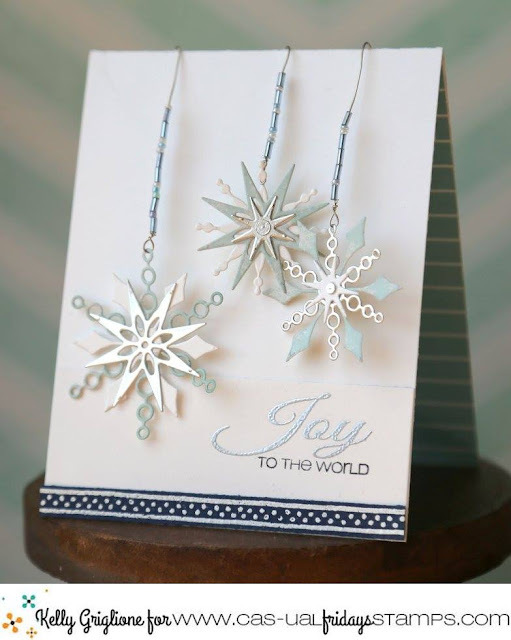 Gorgeous snowflake sets! (that's how I like my snow!) 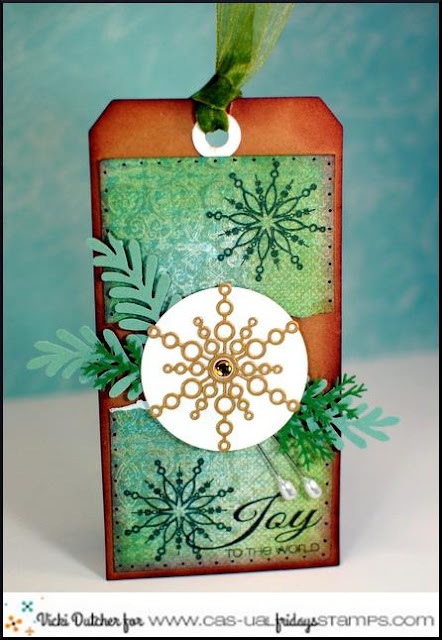 Beautiful tag, cards and Shakers...oh my! 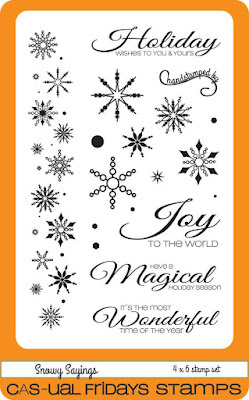 I have to say I do not like Christmas in July - just can't go there! But after looking at all your fabulous sets and creations I am purchasing now! But I'm not creating for at least 2 more months!!! Gorgeos creations ladies! 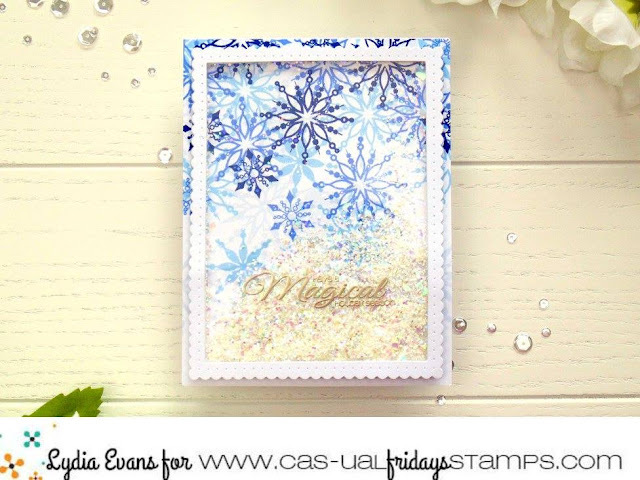 Beautiful new stamps and dies! 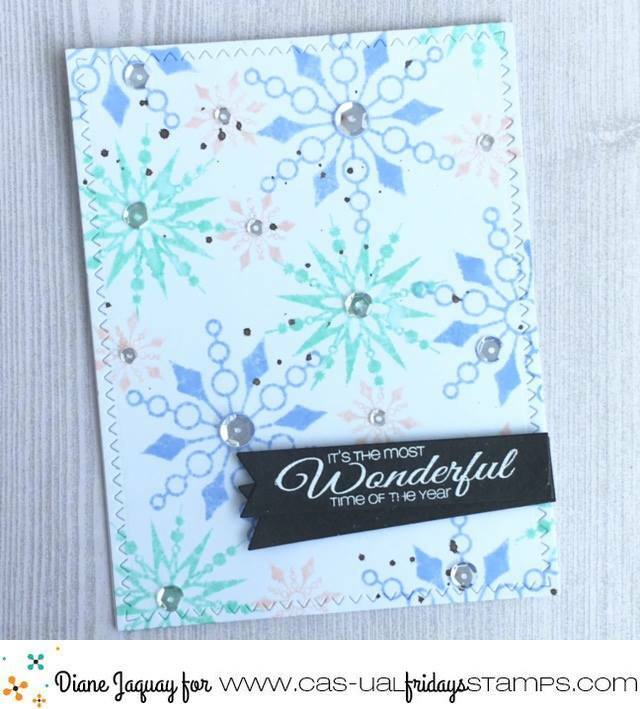 I loVe your wonderful snowflake stamps and dies. 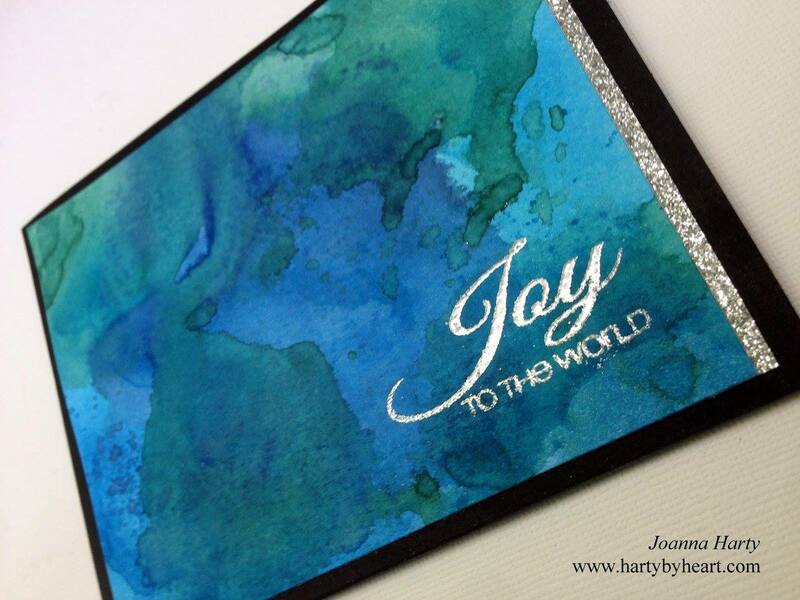 Thanks everyone for sharing your beautiful projects. Oh wow--this release is for me! I'm in love with all 3 products showcased so beautifully & creatively by the DT! 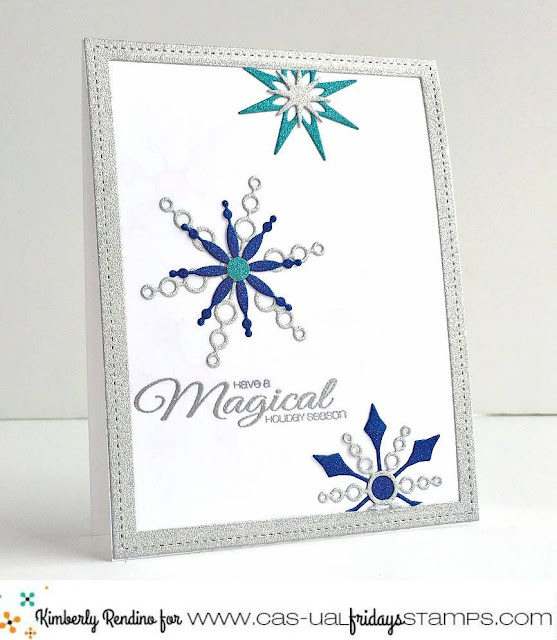 Love all of these gorgeous snowflake creations! 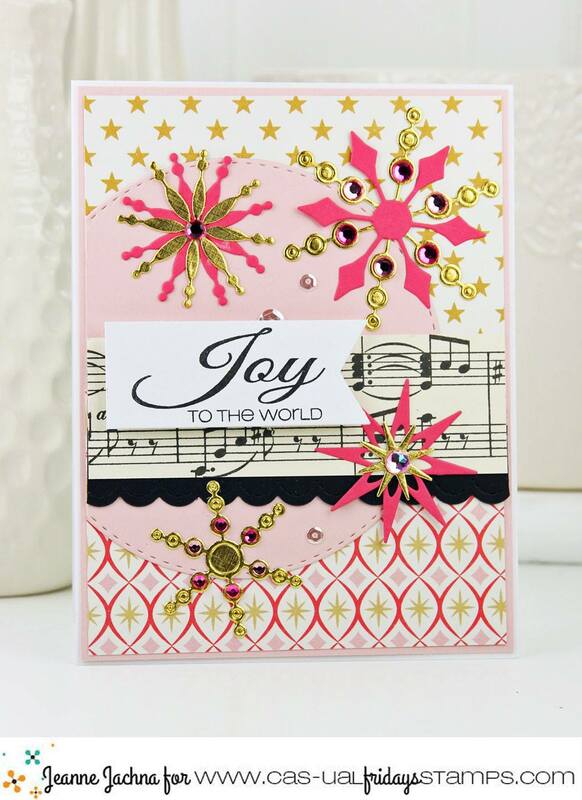 Fabulous cards, awesome stamps and dies!! I was lucky enough to get this box from Catherine. thanks for sharing so many wonderful projects. 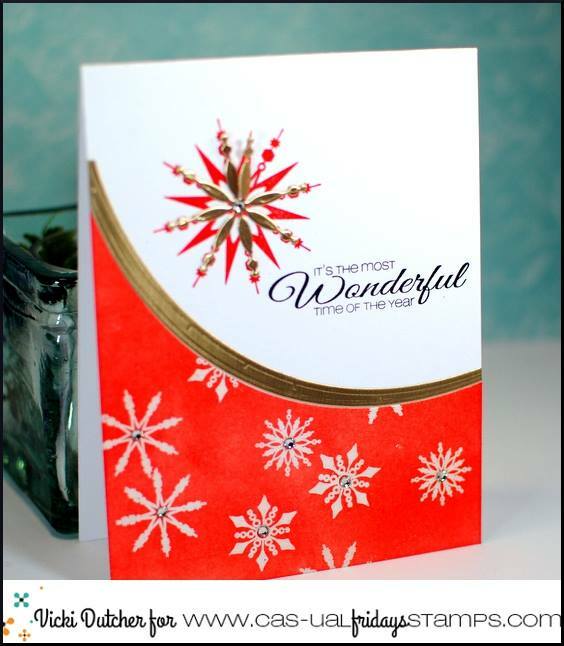 Love all the styles od snowflakes and sentiments! So many stunning and fabulous card creations! Thanks for sharing ladies. 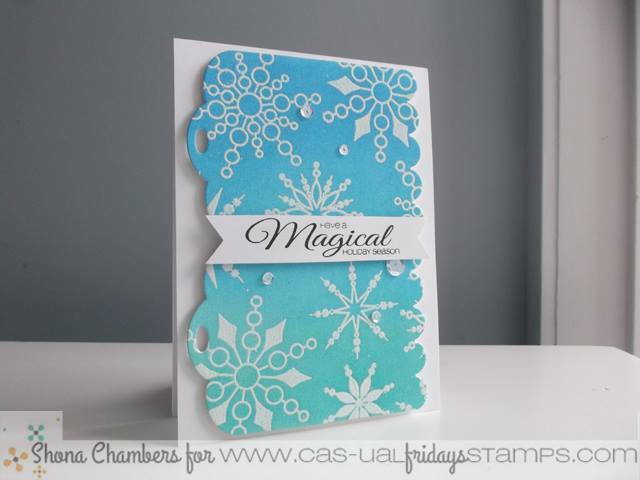 What wonderful cards and projects made with these stamps and dies. 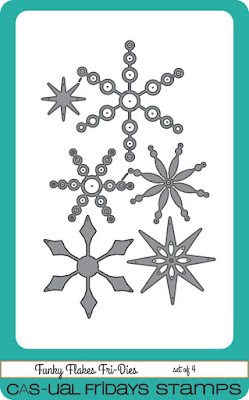 I love them all and am very enthused about making snowflake cards now. 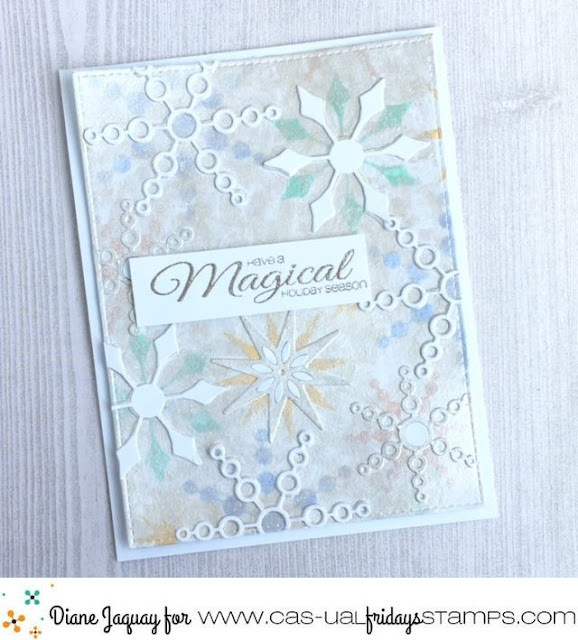 There were a couple blogs I could not find the pages where there beautiful cards were shown but so glad you had a copy of them on this blog so I could still be inspired. Wow, the designers projects are amazing. Very creative group of ladies! I love all of the cards!!!! 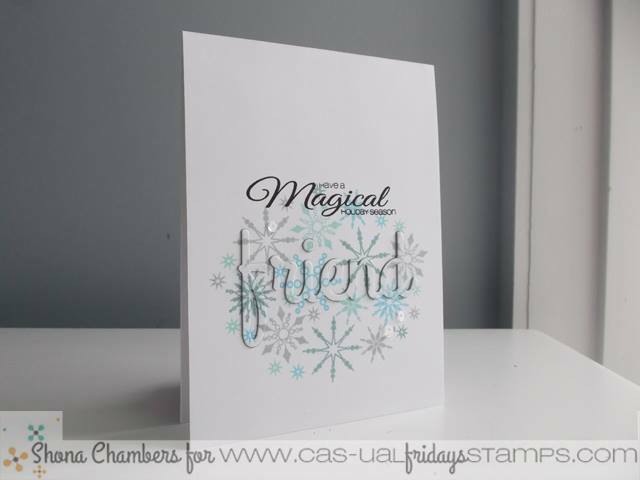 I love these stamps and dies! Oh wow! Such amazing release!!! 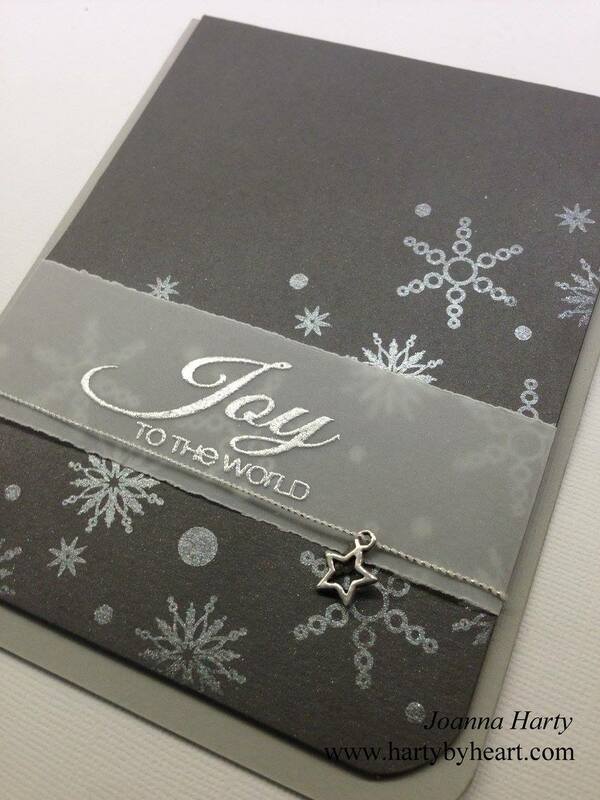 All these snowflake cards are breathless!!! 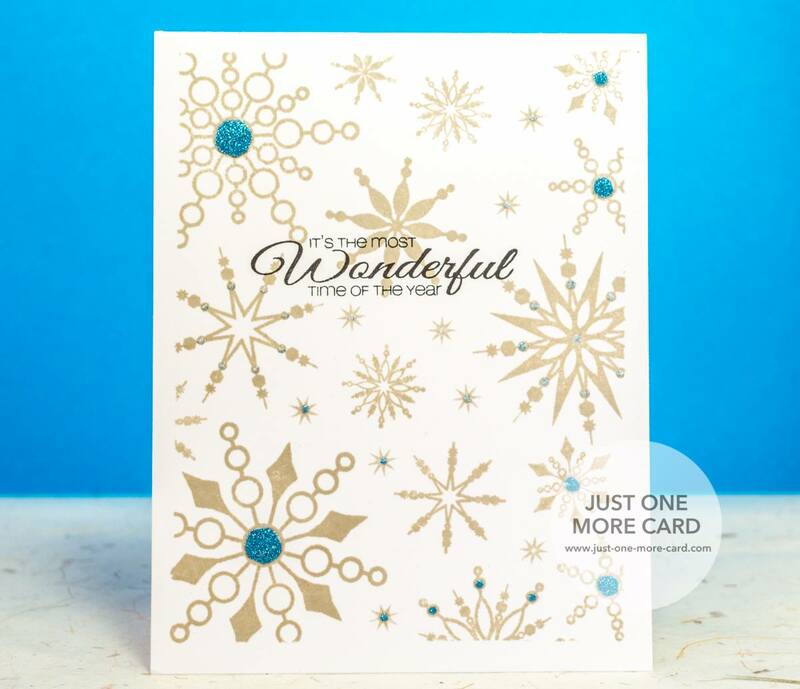 Wow, so many pretty snowflakes and cards! Love them all!! These cards are great! So many unexpected colors and techniques! I absolutely LOVE these sets and have wanted them since I first saw them in action. Sadly my budget didn't allow me to get them but glad to see they are available now. These designers have done you proud as they have rocked this release! Great work ladies! Jaw dropping beauty! All these creations are awesome! Love these beautiful and unique snowflakes. 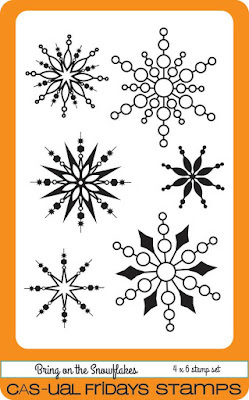 Wow, favorite snowflakes ever! Beautiful projects from DT, amazing! I can't believe how many beautiful cards are shown. I love the shaker ornaments. I am in LOVE with these snowflakes! I remember them from the SOA collection - they are finally here! Your DT has done an amazing job - there are lots of cards here I want to CASE! Awesome release! Wow!!! Gorgeous projects! 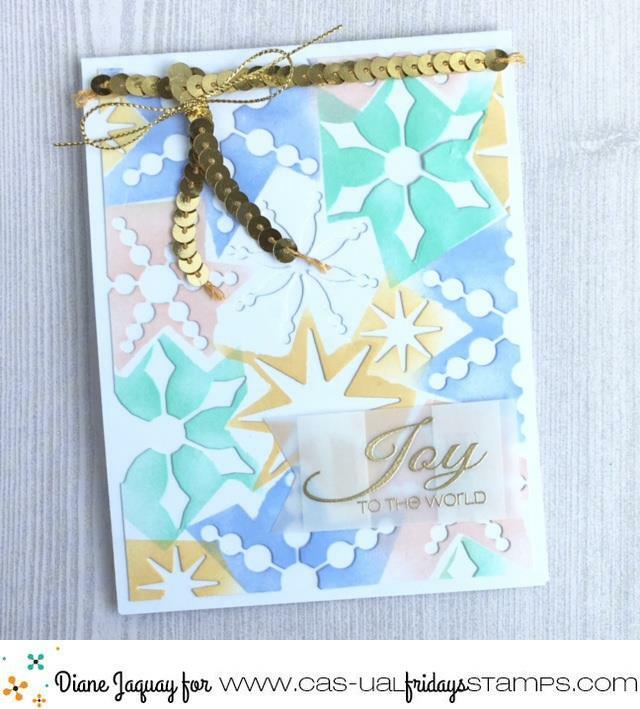 Love these crafty goodies!! the snowflakes dies is so beautiful!!! I lvoe it! OMG!! These are gorgeous. Love them. Gorgeous inspiration!! 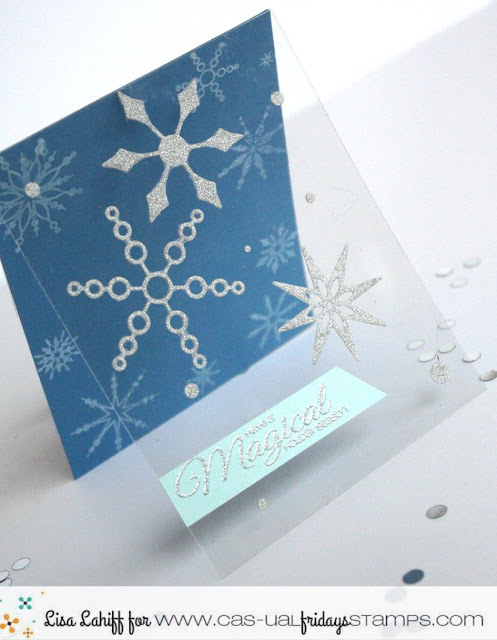 The snowflakes are so cool - love the different ways your DT featured them. Oooh, I can never have enough snowflakes and dies. These look perfect for my collection LOL!!! Snoflakes are AMAZING and all the inspirations from the team are gorgeous and elegant. 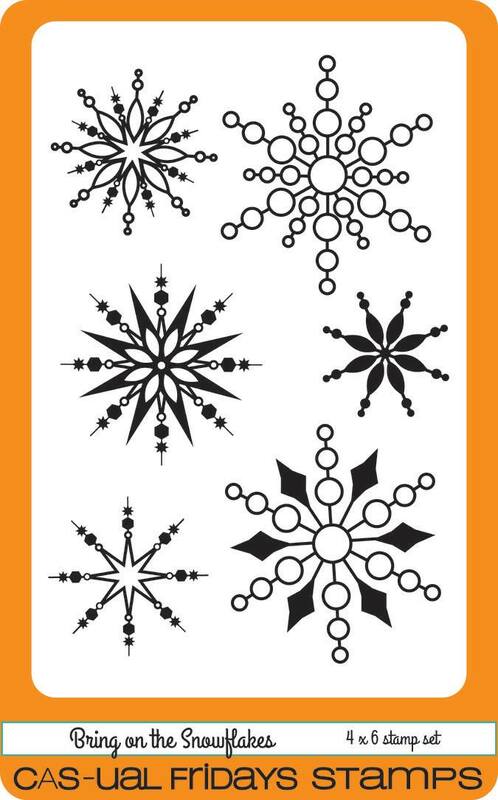 Can't have enough snowflakes. 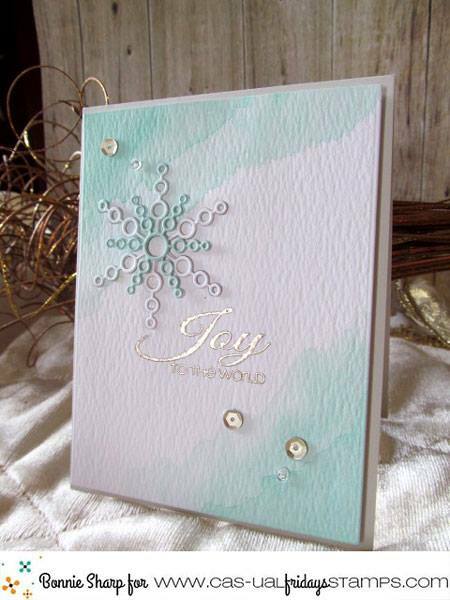 Incredible stamps and dies...just LOVE snowflakes!! Lovely creations from your talented team with this elegant new snowflake supplies! Very pretty! So pretty!!! Love them all! Oh my gosh! I love every single one of these cards! I want it to snow already! It's gonna be 95 here tomorrow. 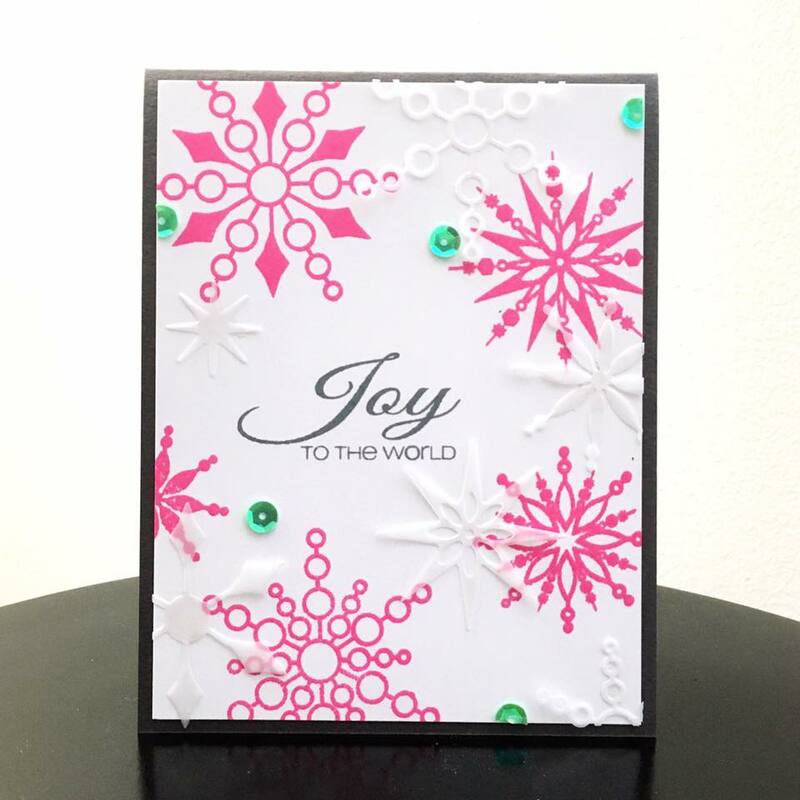 Love the ideas with the Snowflakes..these sets put me in the Holiday mood! I have these sets from the SOA holiday collection and I love them! The DT designs are awesome. I'll be CASEing a few of these! These are gorgeous and so many lovely inspirations!! ALL of the projects are unbelievably wonderful. And those snowflakes look so fun. 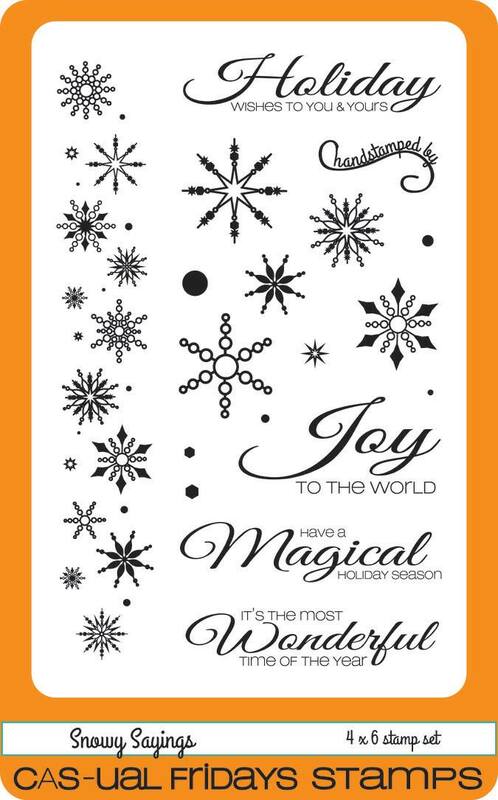 Those snowflakes are fantastic! I love how intricate the die cuts are also!